The 2019 INFINITI QX80 is a large luxurious SUV. The 2019 INFINITI QX60 is a mid-size crossover SUV that offers entry-level luxury. Both models are available with the InTouch infotainment system, Bose speakers and other high-tech amenities. The 2019 QX80’s 5.6 L V8 engine has been engineered to produce up to 400 horsepower and 413 pound-feet of torque. This eight-cylinder engine is strong enough to tow 8,500 pounds. Rated at 295 hp and 270 lb-ft, a 3.5 L V6 engine propels the 2019 QX60. You can tow a maximum of 5,000 pounds with this six-cylinder powertrain. A continuously variable transmission with the Manual Shift Mode drives this model. Four additional settings are included in the Drive Mode Selector, which syncs the transmission with the throttle. The QX80 can run on one of seven gear ratios, which are produced by an automatic transmission that has several driving aides. The Downshift Rev Matching helps you shift into a lower gear, and the Adaptive Shift Control selects speeds that are suitable for your driving style. Featuring three off-road settings, the All-Mode 4WD is available in the QX80. This versatile SUV also has the Snow Mode and Tow Mode for optimum handling. The QX60 could be equipped with the Intelligent AWD for reliable all-weather performance. The InTouch Navigation System is available in the 2019 QX80. You may use the Birdview and 3-D Building Graphics to get detailed overhead views of some cities. Traffic and weather updates by SiriusXM are integrated into the navigation platform. The InTouch services provide additional guidance and security for your trips. The Emergency Call, Vehicle Health Report and Roadside Assistance are at your fingertips. Some of the remote applications that are compatible with smartphones include the Max Speed Alert and engine start/stop. With easy access to the Destination Assistance and INFINITI Personal Assistant, you won’t get lost on the road. The QX80 and QX60 are available with the Bose Cabin Surround Sound System that includes 15 speakers. HD Radio and SiriusXM Satellite Radio entertain occupants in both vehicles. Measuring 8.0 inches, dual headrest monitors with wireless headphones are optional in these cars. Part of the ProACTIVE Package, the all-new Smart Rearview Mirror is available in the 2019 QX80. A climate control system with three zones and automatic recirculation is installed in this SUV. You’ll love the aroma of the grape polyphenol filter that comes with the Plasmacluster technology. This air purification system is also installed in the QX60. Some of the premium materials that are available for the vehicle’s seats include semi-aniline leather and Alcantara with quilts. Matte Silver, Charcoal, Expresso Burl and Stratford Burl accentuate the luxurious interior design of this INFINITI SUV. Linked to the Intelligent Key, both cars have sequential welcome lighting and ambient lighting. 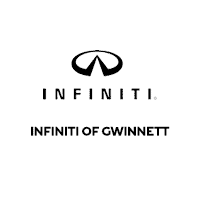 Visit INFINITI of Gwinnett and shop around for a new INFINITI SUV or crossover SUV. After comparing the 2019 QX80 with the 2019 QX60, you could select the ideal vehicle for your family.